Nederlands Dans Theater – vocal coach for the show “School of Thought” performed in Lucent Danstheater Den Haag and Royal Theatre Carré 2013 and 2015. Grandmono Records – vocal consultant for Caro Emerald. Izaline Calister – Dutch-Curaçaoan singer and songwriter. Edison winner 2009. Samantha Klots – “The Body Guard”, “On Your Feet”, “Flashdance”. Vincent Vianen – director, choreographer, teacher and coach. Frances de Jong – “Dirty Dancing”. Aischa Traidia – singer songwriter. Georgie Bow – singer songwriter. Juno Jimmink – music producer, songwriter, owner of Koala Noise. Nike – team building vocal workshop. Starbucks – presentation and communication coaching to team leaders. Converse – team building vocal workshop. We Are Pi – series of team building vocal workshops 2017. The Mulholland Acting and Film Academy – an English language acting school in Amsterdam. De Straat Klinkers – choir for homeless people who are getting their lives back in order. Tutti Ensemble (South Australia) – Tutti offers professional experience across a broad range of artistic disciplines to artists with disabilities, enabling them to develop their skills and careers through working with high calibre local and international artists. The Elizabeth Kugler Ross Foundation – provides educational programs that deepen the understanding of the needs of those who are dying and those who are grieving. A.R.M.S. – Australian organization that offers information and support to family members separated by adoption. Traject Orchestra – Utrecht based classical music orchestra. Crea Theatre – theatre training for teenagers and young adults, created a workshop for young singers and actors. Vereniging Entrèe – the youth department for the Concert-gebouw and the Koninklijk Concertgebouw Orchestra, team building workshop. Mattel – International toy making company, team building workshop. Vergouwen Overduin – training, coaching and advice for the corporate sector. De Nederlandsche Bank – the central bank of the Netherlands. The Alphabet Club – charity focused organization to help children in developing countries and volunteer work for people in the local community. Created a choir as a fundraising project. Close Enough – 10-piece acapella singing group based in Delft. Sanna Van Vliet – jazz teacher at Conservatorium of Amsterdam. Leoni Jansen – singer, musician, coach, stage director, creator of “She Got Game” and “The African Mamas”. Jeroen Kramer – television presenter, singer, voice actor, musician. Ina Van Woersem – The voice of Holland 2016, “Thriller”. Sharon Kips – winner X Factor Nederland 2007. Karsu Dönmez – composer, pianist, singer. Esra Zeynep Yücel – Jazz singer and songwriter based in Istanbul. 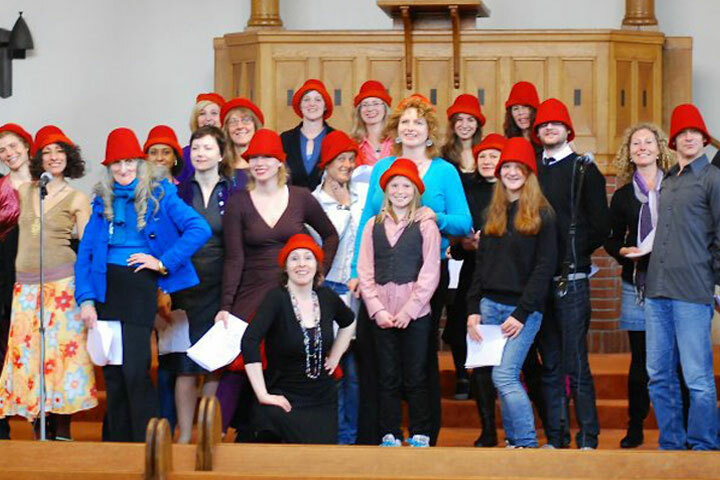 Considered one of Amsterdam’s best vocal coaches, Kim Sutherland has been immersed in voice her entire life. The daughter of an opera singer she witnessed daily vocal training and the singing lessons of her mother both in Australia and Milan. Kim began singing professionally at the age of ten and had her own jazz band at fifteen.